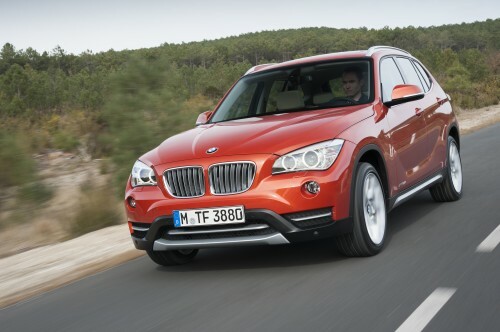 After two and a half years and over 275,000 units, the BMW X1 gets its midlife facelift. The smallest X now sports revised looks, an upgraded interior, a revised engine portfolio, new features, as well as the introduction of BMW Lines, like the F30 3-Series. 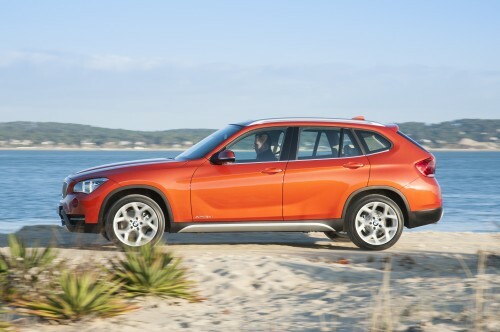 BMW will now introduce the X1 in America, which never got the original. No difference at a glance, but the new X1 has a new tripartite air intake, and the foglamps are now level with an extra crease line that forms a discreet scoop along the upper edge of the lights and continues into the side walls. The increased surface area painted in body colour adds to the car’s elegance, says Munich. The new headlights feature a chrome strip and an LED accent light. From the side, you’ll see that the indicators have moved from the body to the wing mirrors. The rear gets some repositioning and tidying up. The effect is a slimmer area for the black plastic elements and more prominence for the underguard, which has a new surface. The reflectors now “float”. 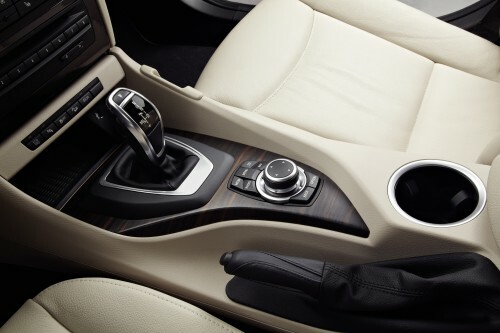 Inside, BMW says that the side of the centre console angled towards the driver is now shallower and boasts a high-grade surface quality. The panel for the sound and climate system controls are now in high-gloss black, while chrome accents on the side surrounds of the onboard monitor highlight the screen. There are flashes of chrome elsewhere, too. The range of engines comprises three petrol and five diesel units. The former starts with a 2.0L naturally aspirated four-cylinder in the sDrive18i with 150 hp and 200 Nm (0-100 in 9.7 sec). 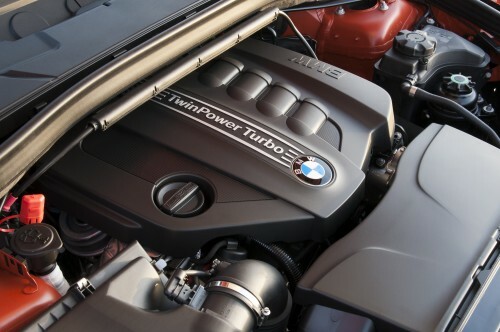 The other two 2.0L four-pot units feature BMW TwinPower Turbo tech. The one powering the 20i provides 184 hp and 270 Nm, enabling 0-100 km/h in 7.4 (RWD) and 7.8 seconds (AWD) respectively. 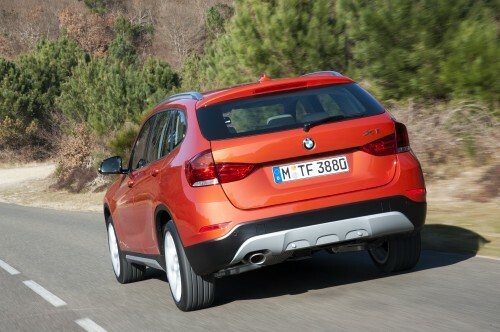 The top dog xDrive28i boasts 245 hp and 350 Nm, taking just 6.1 seconds to do the century sprint. In the diesel department, there are five output levels and two variants of the BMW TwinPower Turbo package, from the new entry-level sDrive16d (116 hp/260 Nm) to the xDrive25d with 218 hp and 450 Nm. This latter does 0-100 km/h in 6.8 seconds and fuel consumption of 5.9 litres per 100 km. There’s also a new sDrive20d EfficientDynamics Edition which looks like a great balance of performance and economy – 163 hp, 380 Nm, 8.3 seconds and 4.5 litres per 100 km FC. Manual only, though. All engines are combined as standard with a six-speed manual. Alternatively, all variants – with the exception of the sDrive18i, sDrive16d and sDrive20d EfficientDynamics Edition – can be optionally combined with an eight-speed automatic. The base petrol model can be had with a six-speed auto. The final drive and the power divider of the xDrive AWD system has been optimised for efficiency and all variants come with Brake Energy Regeneration and Auto Start-Stop. Already in the 3-and 5-Series, the ECO PRO function, which supports a relaxed, economy-optimised driving style, is now present in the X1. 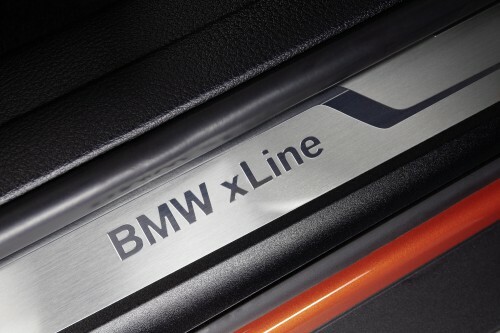 For the new lines, the xLine comes with underguard elements for the front and rear aprons, side skirt covers, air intake and kidney grille slats in Titanium Silver matte finish, as well as exclusive 18-inch alloys in Y-spoke design. Inside, there are xLine entry strips, a sports leather steering wheel with multifunction buttons, interior trim strips in Dark Copper high-gloss and new ‘Carve’ seats with hardwearing fabric for the seat surface and leather for the side supports. Sport Line X1s have their kidney grille slats in gloss black, tailpipe finishers in Black Chrome, exclusive alloys, entry strips with “BMW Sport” lettering, sport seats upholstered in anthracite fabric, red stitching and interior trim in high-gloss black. Optionally available are leather sports seats in a choice of two colours, while interior trim strips in aluminium are an optional extra exclusive to the Sport Line. Full high-res gallery after the jump. I dont know what to think of this. Is it a hatchback or a wagon? A bit too long for a hatchback but overall apperance doesn’t scream a wagon to me. weird.